In September 2018 we finished constructing new water pipes in Wingrove Street and Station Street in Fairfield, which has upgraded the reliability of water supply to the area. The water supply to customers in the Fairfield area was previously serviced by a water pipe located under the footpath surface in Station Street. Built in 1948, the ageing pipe had experienced some bursts that temporarily disrupted water supply to the surrounding area. By replacing the pipe Yarra Valley Water has ensured customers continue to have a reliable water supply. 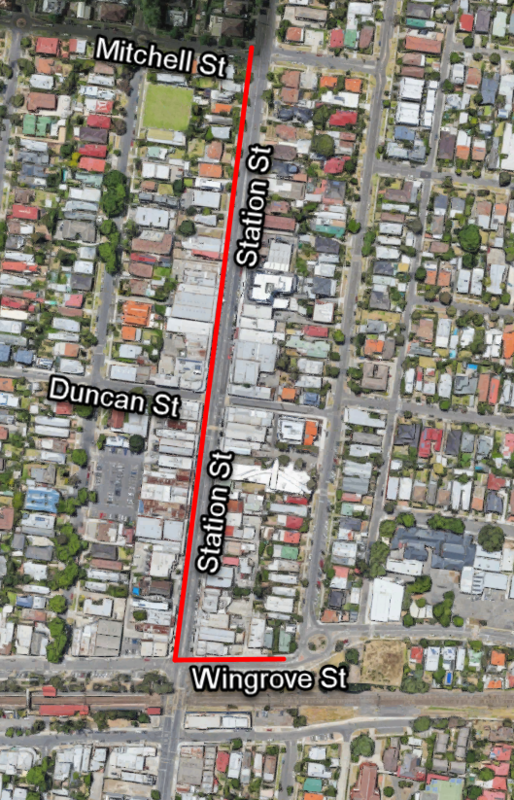 a new 108-metre-long section of pipe along Wingrove Street, from Station Street towards Arthur Street. Construction activities occurred within the car parking lane opposite from the rail line. This section was completed in mid-September 2018.
a new 480-metre-long section of pipe was built in Station Street, from Wingrove Street towards Mitchell Street. Construction activities occurred within the car parking lane on the Foodworks side of Station Street. This section was completed in late October 2018. If you have any questions or feedback please contact Yarra Valley Water’s project manager, Phil Taverna, on 9872 2445.